The hadeeth is a glad tiding to the righteous servants of Allaah, of the coming of the blessed month of Ramadaan. The Prophet (saws) informed his Companions of its coming and it was not just a simple relaying of news. Rather, his intent was to give them the glad tidings of a magnificent time of the year, so that the righteous people who are quick to do deeds can give it its due estimate. This is because the Prophet (saws) explained in it (the hadeeth) what Allaah has prepared for His servants from the ways towards gaining forgiveness and His contentment – and they are many. So whoever has forgiveness escape him during the month of Ramadaan, then he has been deprived with the utmost deprivation. From the great favors and bounties that Allaah has bestowed upon His servants is that He has prepared for them meritous occasions so that they may be of profit to those who obey Him and a race for those who rush to compete (for good deeds). These meritous occasions are times for fulfilling hopes by exerting in obedience and uplifting flaws and deficiencies through self-rectification and repentance. There is not a single occasion from these virtuous times, except that Allaah has assigned in it works of obedience, by which one may draw close to Him. And Allaah possesses the most beautiful things as gifts, which He bestows upon whomsoever He wills by His Grace and Mercy. So the one who achieves true happiness is he who takes advantage of these virtuous months, days and hours and draws closer to His Guardian in them, by doing what is prescribed in them from acts of worship. Being able to reach Ramadaan is itself a magnificent bounty that is bestowed on the one who reaches it and rises to its occasion, by standing in prayer during its night and fasting during its day. In it, he returns to his Protector — from disobeying Him to obeying Him, from neglecting Him to remembering Him, from remaining distant from Him to turning towards Him in submissive repentance. A Muslim must be conscious of this bounty and acknowledge its magnitude. For indeed, many people are prevented from fasting, either because they die before they reach it, or because they are not capable of observing it or because they oppose and turn away from it. Thus, the one who fasts must give praise to his Lord for this bounty and should welcome this month with joy and delight that a magnificent time of the year out of all the occasions for performing obedience is welcomed. He should exert himself deeply in doing good deeds. And he should invoke Allaah to grant him the ability to fast and stand in night prayer, and that He provide him with seriousness, enthusiasm, strength, and energy in that month. And that He awaken him from heedless oversleeping so that he may take advantage of these virtuous times of good. It is unfortunate to find that many people do not know the value of this virtuous occasion, nor do they consider it to be sacred. So the month of Ramadaan no longer becomes a significant time for obedience, worship, reciting the Qur’aan, giving in charity and making remembrance of Allaah. Rather, to some people, it becomes a signifcant time to diversify their foods and drinks and to prepare different types of meals before the month begins. Some other people do not know Ramadaan except as a month of sleeplessness and constant recurring gatherings, while sleeping by day. This is to the point that some among them sleep past the time of the obligatory prayers, thus not praying them in congregation or in their proper times. 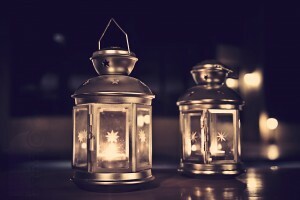 Other people do not know Ramadaan except as a signifcant time for conducting worldly affairs, not as a significant time for conducting affairs for the Hereafter. Thus, they work busily in it, buying and selling, and they stay in the market areas, consequently abandoning the masaajid. And when they do pray with the people, they do so in such a hurried manner. This is because they find their pleasure in the market places. This is the extent that the notions and views (of Ramadaan) have been changed. Also, the individual does not know if this is perhaps the last Ramadaan he will ever see in his life, if he completes it. How many men, women and children have fasted with us the past year, and yet now they lie buried in the depths of the earth, relying on their good deeds. And they expected to fast many more Ramadaans. Likewise, we too shall all follow their path. Therefore, it is upon the Muslim to rejoice at this magnificent occasion for worship. And he should not renounce it, but instead busy himself with what will benefit him and what will cause its effect to remain. For what else is it, except numbered days, which are fasted in succession and which finish rapidly. May Allaah make us, as well as you, from among those who are foremost in attaining good deeds. Posted on July 4, 2012, in Ramadan Resources and tagged Abu Hurayrah, allah, fasting, hadith, islam, muslim, Prophet Mohammed, quran, ramadhan, salaf, Spreading the Good News of Ramadaan. Bookmark the permalink. 1 Comment. The last book of Allah to His creatures, Al-Qur’an, was revealed in the night of Ramadan. What this means is that the first divine revelation to Prophet Muhammad(s.a.w) took place in the Night of Ramadan. Allah chose the night because of the special blessings in it. It is called the night of Power (Lailat-ut Qadr) or the night of blessing (Lailat-ul mubarak). The deed in this night is better than the rewards of deeds of 1,000 months (about 83.3 years). Let suppose that a man survived up to 100 years and he consciously witnessed 93 nights of Power, he would have in his account more than 7,750 rewards which exclude all other rewards he earned from doing virtuous deeds. It is this night that all Muslims are invited by Allah to look for in the month of Ramadan. Specifically, the night is in the last ten days of Ramadan and usually in one of the odd days (i.e. 21, 23, 25, 27 and 29th). A Muslim is expected to perform naafilah, recite the Qur’an, do zikr etc in the night. Since no one knows precisely which of the odd days is the night, Muslims are expected to be in seclusion (itikaf) during the last 10 days of Ramadan and the best place to do so is in the mosque.